Yellow Oyster mushrooms have daffodil yellow, petal-shaped caps with ivory white stems. 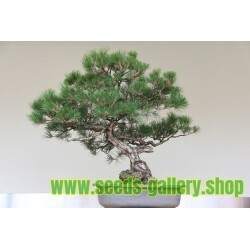 The cap is smooth and often convex with age. The margin can be smooth with a slight wave. 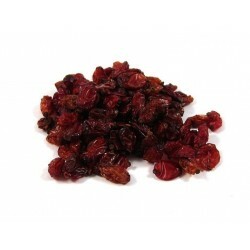 The flesh is white and can be thin or thick depending on size, regardless its texture maintains a meaty and melting quality. 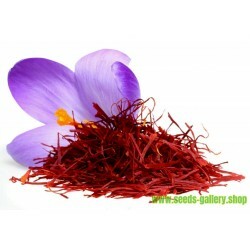 The aroma is fruity and reminiscent of an aged red wine, a quality that permeates with cooking. The mushrooms' stem is short, often horizontal as it emerges perpendicular from its wooded host. The stems can be somewhat bitter. 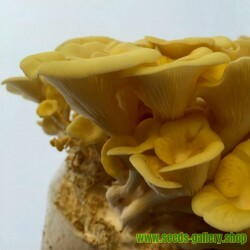 Yellow Oyster mushrooms are very fragile; handle with care. Cultivated Yellow Oyster mushrooms are available year-round, whereas wild Yellow Oyster mushrooms can be found in the fall and winter months. 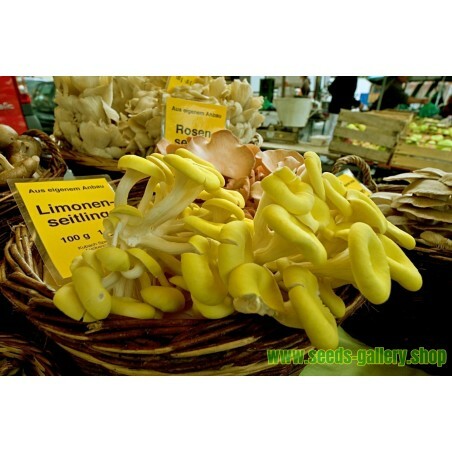 Yellow Oyster mushrooms are scientifically classified as Pleurotus citrinopileatus, though they have also been classified under Pleurotus Cornucopiae and according to recent research should actually be categorized as a varietal of P. cornucopiae. 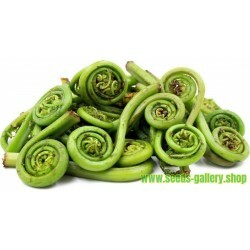 They are most recognized as wild mushrooms, though they can also be cultivated. 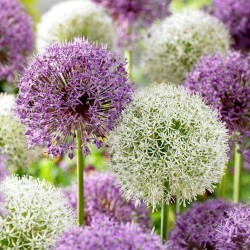 A range of other different colors, pink, blue, and gray can also be found in both wild and cultivated form. The mushrooms grow in tightly layered, non-uniformed clumps and are also recognized as Golden Oyster mushrooms. 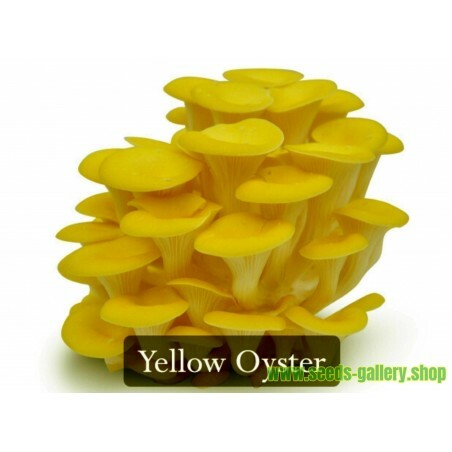 Carotenoids, an amino acid essential to life, and the amount of lighting or sun received are what give the Yellow Oyster mushroom its vivid yellow color. The mushrooms contain higher levels of copper and zinc than in other cultivated mushrooms. Oyster mushrooms also contain several other essential amino acids in varying amounts, including folic acid, lovastatin (shown to lower cholesterol levels), and fatty acids. 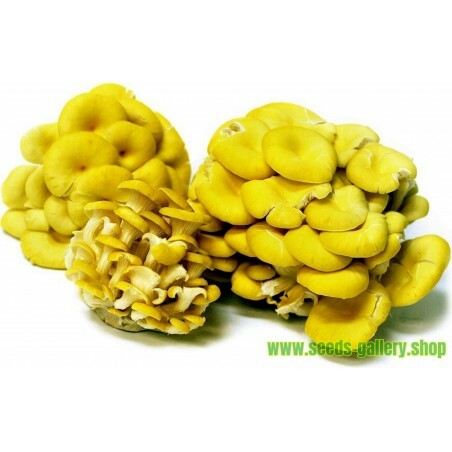 Yellow Oyster mushrooms are best suited as a soup and stir fry mushroom or braising mushroom: their texture does not lend itself well to raw applications. The stems of the Yellow Oyster mushroom may be quite bitter to some individuals, in which case they should be removed and discarded. 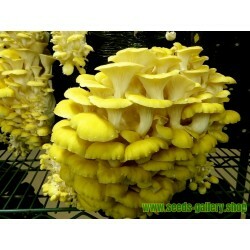 Yellow Oyster mushrooms pair well with seafood, pork, garlic, ginger, soy, tomatoes, Asian vegetables and pot herbs. Traditional recipes include stir fries, curries and soups and these are good starting points if you have never cooked with Yellow Oyster mushroom before. 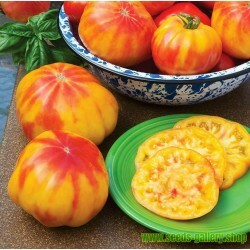 Modern recipes include companion ingredients such as clams, fennel, wild arugula, fresh and melting cheeses, cured meats such as prosciutto, wild ramps, black garlic and young shallots. 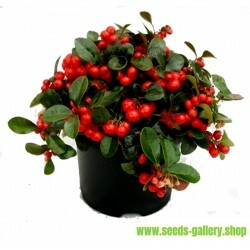 To store, place in paper bag or between paper towels. Never store fresh mushrooms in plastic as the plastic deteriorates the flesh rapidly. 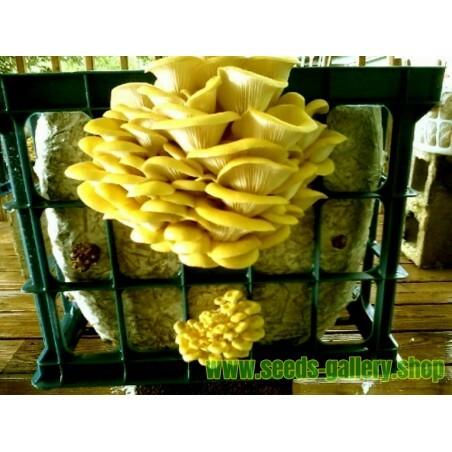 All varieties of Oyster mushrooms can be used for successful mycoremediation, which is the process of growing mushrooms to clean the earth. Oyster mushrooms have been shown to clean soil of crude oil after oil spills, PCP (a wood preservative), wastewater and pesticide-contaminated wastes. The mushrooms not only degrade the pollutants in the soil or water, they also mineralize the pollutant so it will return to the air as ammonia, carbon dioxide, chlorine and water. 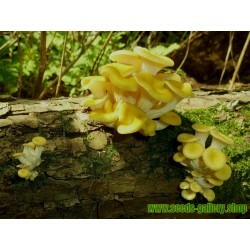 The Yellow Oyster mushroom is native to eastern Russia, northern China and Japan. It is a wide-spread mushroom that has naturalized in many different Western and Northern Hemisphere regions with a prevalence in North America and other continents, growing readily on dead wood year-round and specifically flourishing in autumn forests, cascading in tight shelf-like patterns along dead hardwood deciduous trees. All Oyster mushroom strains need moist conditions to fruit, although different strains fruit in different temperature ranges. Many available Yellow Oyster mushrooms have been cultivated, as they are easy to grow. 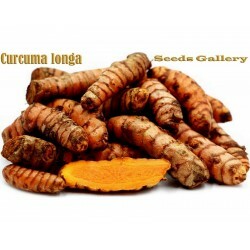 Home growing kits are available. 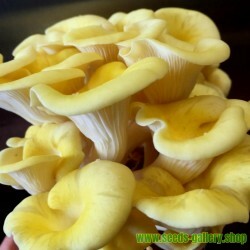 Recipes that include Yellow Oyster Mushrooms. One is easiest, three is harder.